Pregnancy is such an amazing and wonderful experience that brings joy and happiness as the new baby starts to develop. As the pregnancy progresses the mother experiences changes to the body as it facilitates and envelops in a protective and comforting way. These changes bring additional pressure to the mothers’ joints, ligaments and organs, all of which may result with the mother experiencing musculoskeletal pain and discomfort during the pregnancy term. Massage will help to address these symptoms, promoting greater wellbeing for the mother to be and that of the baby. A review of posture is initially undertaken to ensure that optimum posture is maintained, reducing any potential onset of soft tissue tension, stresses and strains. The physical changes to the body keep revolving as the pregnancy progresses, resulting with a continuation of posture changes. Regular review of posture, in conjunction with massage therapy, will help to reduce the noted symptoms to muscles and the connective tissue of fascia, thus releasing muscular tension and compression. Many pregnant women experience leg cramps in the calves, this is due to many reasons ranging from poor circulation to a build-up of lactic acid. By using an array of massage techniques we promote greater blood flow, thus reducing the build up of lactic acid and interstitial fluid in the lower leg. The posture review will ease tension within the leg muscles, aiding the reduction of cramping reoccurrence as well as additional strains to the musculoskeletal frame. Massage improves venous blood flow and oxygen while assisting in the removal of cellular waste by increasing lymphatic flow. This helps to decreased swelling, reduces blood pressure and relieves headaches. As the baby develops space becomes a premium within the body and may result with difficultly in breathing. Massage will help the respiratory system by promoting improved ease of movement within the soft tissue that surrounds the rib cage, therefore aiding breathing during the pregnancy and birth. There are many other benefits to receiving a massage during pregnancy. Massage can promote a reduction in stress hormones thus improving emotional wellbeing. We also see an improvement in general fatigue as increased energy and ease of movement will result. Massage enhances body awareness and promotes relaxation and positive factors for overall body, mind and spirit health. Whatever your reason for seeking a pregnancy massage you will leave a beneficial pregnancy massage feeling both uplifted and relaxed. 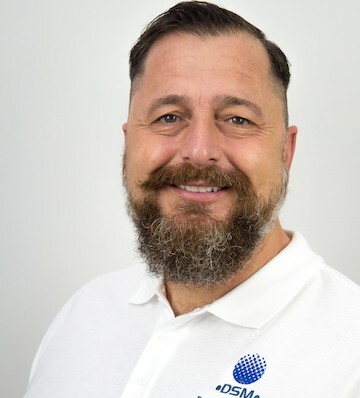 Dan Marshall is an accredited trained pregnancy massage therapist and the health of the developing baby and that of the mother is paramount to him, therefore he will not offer pregnancy massage until the second trimester, 13th week onwards. It is also kindly request that you consult you doctor or midwife before proceeding with a beneficial massage therapy. Please allow one and a half hours for the massage, as greater time is required for the health consultation and the massage itself. The price for a pregnancy massage is £50.